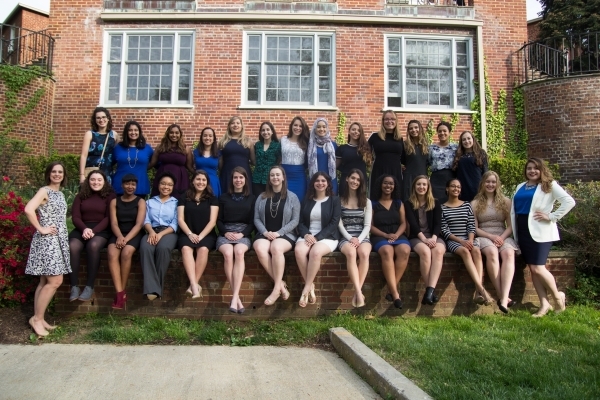 The International Politics (IP) cohort is designed for students who wish to pursue a rigorous study of international affairs and comparative politics while taking advantage of Washington, DC's unique political resources. The emphasis is on exploring politics in other countries and at the international level. This year-long living and learning program offers an academically challenging, interactive, and dynamic experience for first year students. Students reside together in Somers Hall located on the Mount Vernon Campus. A graduate teaching assistant lives with students and acts as an on-site academic resource and mentor. This year-long program emphasizes critical reading and writing skills as well as oral presentation skills which students use in formal presentations and classroom discussions. Students enroll in two academic courses each semester, in addition to the year-long symposia. The courses satisfy requirements for students in the Elliott School of International Affairs, majors in political science in the Columbian College of Arts and Science, as well as general curriculum requirements for other students. The Comparative Politics course is taught by the Program Coordinator for the International Politics cohort. It focuses on political structures and leaders in different countries, such as France, Egypt and China. The course involves reading, writing, research, and discussion about key concepts and theories that Political Scientists use to study politics around the globe. In this course, you will learn about different types of “states” and how different states govern and interact with their societies. You will learn about the formation of institutions and practices. You will study specific countries to see how these states and their institutions have evolved in both positive and negative ways. This course fulfils one literacy requirement. The University Writing Program provides comprehensive writing and research instruction, and is required for all undergraduate students. WLP offers a choice of topics taught by the program’s University Writing faculty. This course is not cohort-specific – students may select any of the courses offered. This course does not fulfill an academic requirement, but counts towards the students’ overall earned credit hours. The weekly symposia are designed to supplement the academic component of the program with a wide variety of extra-curricular opportunities, many of which are exclusive to members of WLP. The symposia fall into two main categories: women’s leadership and discipline-specific exploration. 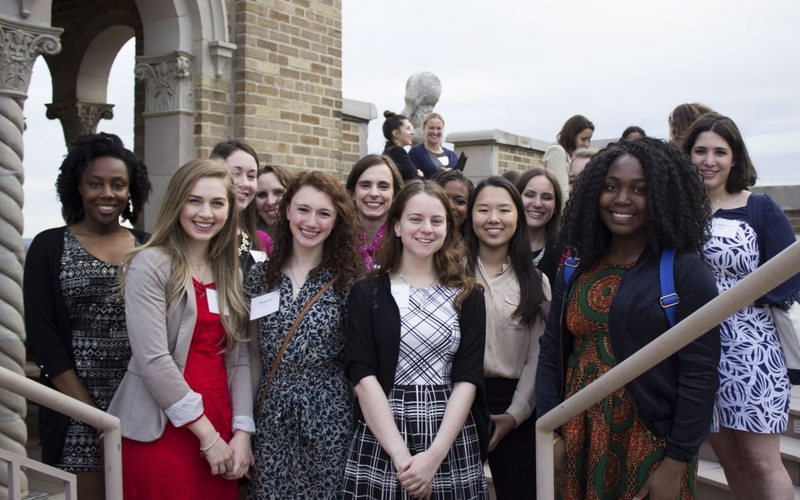 The discipline-specific events are designed to introduce students to successful women in international politics and a variety of other fields, generate new ideas about aspects of community and leadership within the discipline field, and provide networking opportunities. The International Relations course is taught by the Program Coordinator for the International Politics cohort. The International Relations course focuses on how and why states go to war and when and why they cooperate. The course involves reading, writing, research, and discussion about key concepts and theories that Political Scientists use to study relations between states and non-state actors, such as international organizations, networks, firms, and transnational movements. Questions this course will address include: What are sources of threats to states? What are sources of cooperation? Under what conditions will states or other actors go to war? Under what conditions will they form alliances or find ways to cooperate? IP students Yehna Bendul, Mira Mercier, Clara Chahwan, Madison Brock-Alexander, Hayley Sandoval, Malka Lasky, and Erin Cieraszynski with Senator Harris at a rally in support of the dreamers. 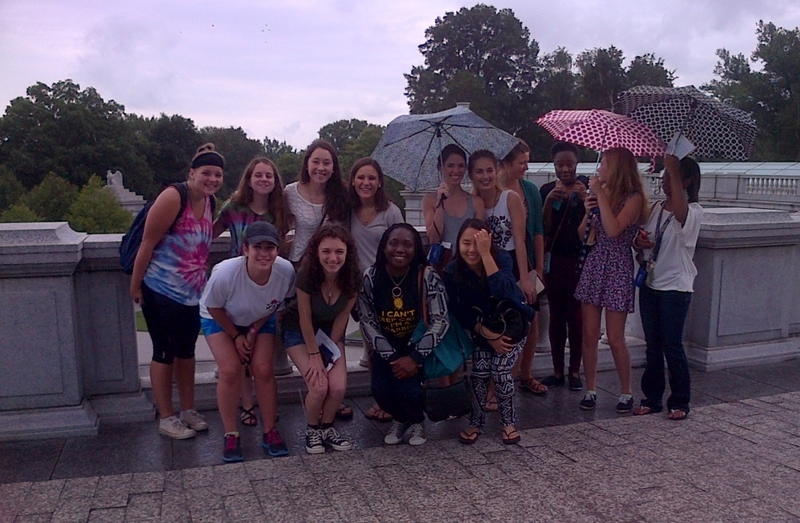 Group shot of the 2014-15 IP Cohort at the Women's Memorial at Arlington National Cemetery.